Agency Human Design has created an integrated media campaign for Ladder, a new celebrity wellness brand founded by LeBron James, Cindy Crawford, Arnold Schwarzenegger and Lindsey Vonn that engages consumers with content, community and personalized product, bringing a level of simplicity and accessibility that is unprecedented in the health industry. To introduce this subscription-based brand to the world, Human Design created a series of commercials and a viral media campaign. 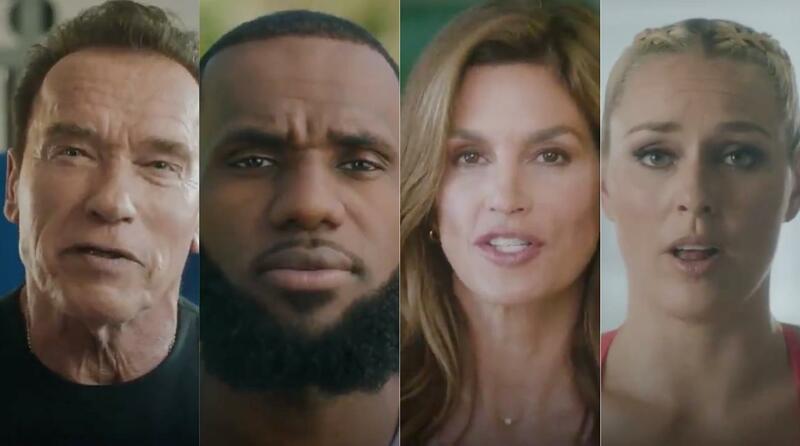 The 60-second anthem, “We Are Ladder,” launched in November, interlacing videos of the four active celebrities—and other happy, healthy-looking people—engaged in their daily activities, from yoga and weightlifting, to cooking and spending time with family, to group exercise classes and business meetings. Throughout the energetic spot, individuals repeat mantras such as, “There is strength in numbers,” There is no magic pill,” “Life is a workout” and “We are Ladder." Additionally, the agency cut eight 30-second spots—two per celebrity founder focusing on how they live their life as a workout. Those will begin rolling out online in January since the new year is the prime season for resolutions, which often involve commitments to wellness. Social media cutdowns will also be created so the work can be featured as Facebook posts and Instagram posts and stories. “The team at Ladder created a product that was born out of their own life experiences, and built using their unique resources. Helping them tell that story was an honor,” said Human Design’s Chief Creative Officer John Weiss. Ladder makes reaching lifestyle and health goals attainable by providing direct-to-consumer energy powders and other supplements along with content, support and guidance from world-class advisors and experts. Eschewing the “one-size-fits-all” theory and traditional product endorsement, the founders built the brand from the ground up based on their collective experiences. The goal of the work is to drive viewers to www.weareladder.com to customize a plan. The core products are two protein powders, a greens powder and an energy powder that are certified by the NSF International, a testing organization that works with major sports leagues. “Ladder is on a mission to shift the mindset of the wellness industry and create a community that helps individuals sustain health and balance in their lives. Human Design had the talent and dedication to excellence that made it easy for us to share our vision,” added Jack Gray, Chief Marketing Officer at Ladder.